☞ There is narrative in a good number of video games of course. But this does not mean that video-game narratives can be unproblematically compared with narratives in other media. Video-game narratives have quite often been compared to cinematic narratives. But as this article points out, there are some fundamental differences between them. “Video games are an intrinsically different medium than movies due to their defining interactive nature, and even there are times where they don’t need narrative to be engaging, take Tetris as an example of this, it’s a very simple puzzle that has no story whatsoever but it is one of the most recognized games in the history of the medium, so asking for a videogame equivalent of the “Citizen Kane” seems like a lackluster comparison, overall taking into consideration that there are a lot of film technics used in video games cutscenes that very probably are derived from the Citizen Kane film. 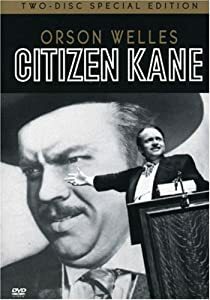 But my main problem with this terminology is that every time the term “the Citizen Kane of gaming” is thrown it implies that video games so far have been unable to tell stories that have impact on our feelings and our points of view, that so far video games have not been able to generate emotions from its audience, and that is completely false, I have personally was moved on lots of moments in many games, I cried at the ending of Final Fantasy X, I felt the shivers of fear go through my spine in Dead Space 2 when I had to stick a 60 inch needle through Isaac Clarks eye, and it took a lot from me to actually pull the trigger to kill The Boss in Metal Gear Solid 3, and completely helpless when the main villain of infamous decided to kill Cole McGrath girlfriend regardless of which choice did I take, games can generate emotions in ways that movies can’t even dream about performing, if you can’t believe me go and play all the episodes from The Walking Dead because they are the latest best example on how to make your audience engaged emotionally towards the characters and story of a video game. ☞ Does visual storytelling have the same rules as other forms of storytelling? Or do different rules apply? Or could it be that some of the rules that we associate with it also apply to other forms of communication, and are not restricted to storytelling per se, whether visual or otherwise? I choose the following article not because it provides easy answers to the above questions, but because it highlights the concern that there might be different rules for visual storytelling, or that some people believe that some of the general observances of storytelling do not apply to it. What is needed here is a clearer spelling out of what these rules, principles or inclinations actually are, especially when they do, as in this case, touch on questions of ethics. “Did you see Businessweek’s recent cover illustration on the housing bubble rebound? Did it strike you as offensive, racist, misleading and factually incorrect as it did me? Businessweek is rightfully being pilloried over the illustration, which feels more like a 19th-century minstrel cartoon than it does a cover for a leading and mainstream 21st-century business magazine. But the more I looked at the situation and thought about the artwork, the more I realized that in the midst of this move towards more visual storytelling in media, business and culture at large, there seem to be few rules and standards in place for telling visual stories appropriately and accurately. Dear Businessweek: What. The. Hell.